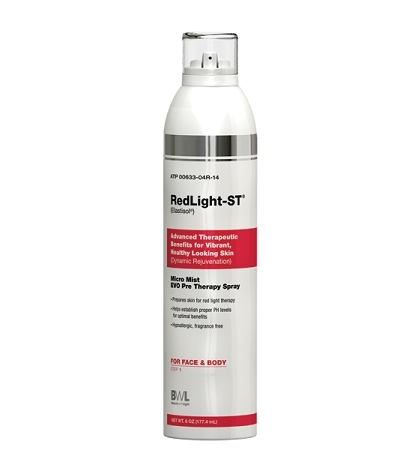 Advanced Therapeutic Benefits for Vibrant, Healthy Looking Skin (Dynamic Rejuvenation) This refreshing light mist helps prepare your skin for red light exposure. By establishing your skins proper PH balance maximum therapeutic benefits are achieved. Fortified with vitamin C that revitalizes your skin while natural Aloe Vera soothes and conditions with each use.